This is to inform all 2017 JAMB candidates that JAMB has re-enabled the portal for the change of course and institution as well as data correction. All candidates who wish to effect changes on either their course institution or their bio-data can proceed to do so at the closest JAMB CBT accredited centre. You can also correct your Bio-data which include your name, date of birth, gender, State and Local Government of origin. -Be sure of the Course/Institution you would like to make changes. 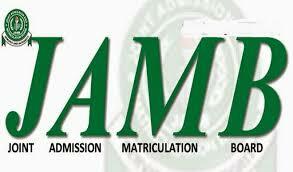 Verify if the course is available in the school using the JAMB Brochure. -Ensure verify that the school you are changing to does not usually have a cut off mark higher than your score. - Ensure you select a Course/Institution that is in line with your subject combination to avoid being screened out during your school's admission screening exercise. - You can change one or all your courses/institutions at the same time. - Once the form is submitted, you can no longer make any changes again (or else the system has changed). - There may be a limited number of schools or courses you can change to, so be sure to have 3 or 4 options, just in case the one you want to change to is not available. - The cost for the change of course and Data correction is N2,500. - You can use the one time payment of N2, 500 to change your institution, course, name, date of birth, State and Local Government of origin. If you have successfully done yours, use the comment section to let us know how it went. 0 Response to "JAMB Reopens Portal For 2017 Change Of Course, Institution And Data Correction"